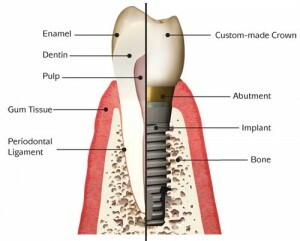 Thinking of getting dental implants in Anderson, SC? The following guide lists the top 10 dental clinics as well as what you can expect to pay for a dental implant in Anderson. Click on the profile of a dentist near you to read more about them. At Cornerstone Dentistry, we take pride in delivering excellent dentistry with compassion and integrity. We believe that all of our patients should have the opportunity to experience optimal oral health in regards to comfort, function, and esthetics. Our desire is to build long-term relationships with patients who appreciate quality care and service. Electric City Dental Care is a hometown dental practice located in Anderson, SC specializing in comprehensive dentistry for the entire family. Our practice places a premium on excellent service, quality care and patient convenience.